With Summer right around the corner many of you are beginning to plan for your family vacation. While flying is becoming more and more affordable, there is nothing quite like packing up the car and heading out on the road for an adventure. 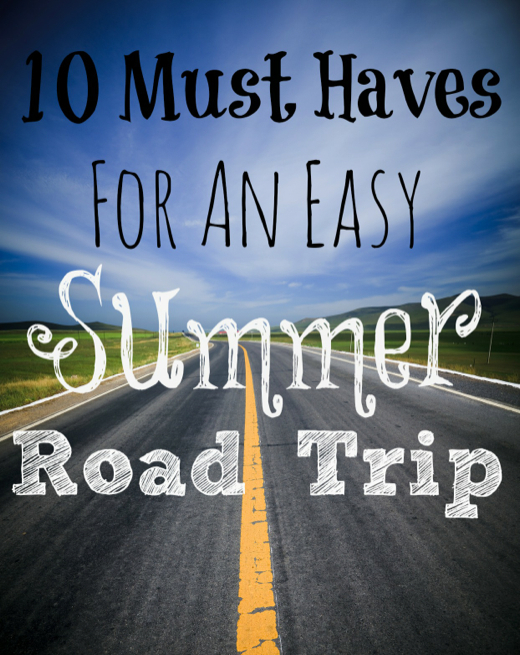 As an experienced traveler here are 10 Must Haves For An Easy Summer Road Trip that I highly recommend. Some are simple tips on planning your trip and others are products or services I feel are worth your time and money to make the vacation smoother and more enjoyable. Whatever your destination, make this years road trip one that will go down in family history as the best vacation ever. OLD SCHOOL ATLAS: While we live in a day and age where GPS is not only on our phones but available in many vehicles as well we often don’t think about grabbing a true paper map when traveling. Although it may not be needed, there are some locations where cell service and satellite signal could be spotty and your GPS system might not lead you in the right or best direction. Always keep an atlas on hand and pick up state highway maps at each visitor center you pass. Having these can be both a fun educational way to navigate with the kids but could also help you out of an endless circle of being lost on the road. EMERGENCY KIT WITH CLOTHING & SNACKS: While it may seem like you wouldn’t need to pack this separate since you will have luggage in your car, it is important to have an emergency kit that is easy to access and that will remain in your car at all times. If you reach your destination but find need for something while away from your motel this can be a lifesaver. Especially with kids in tow. Recommended are changes of clothing for each person, basic first aid kit including kid friendly medications, 1-2 gallons of water, peanut butter crackers, beef jerky and a notebook with a list of emergency contact information, insurance information and photographs of each family member. CUSTOM FAMILY MIXTAPE: Whether you burn it to an actual CD or simply upload playlists to the MP3 player creating a fun mix of music that the entire family will love is a must for those long hours in the car. Silly songs from childhood, latest Top 40, easy listening tunes or even classical are all great to add to your mix tape. Creating a playlist for each family member is also a great way to allow kids a turn at choosing what you listen to. Pre-approved music will be in their playlist and you will already know they are going to enjoy it as well. COMFORT ITEMS FROM HOME: While this is typically for the kids, many adults appreciate the little comforts from home while on the road. Packing your own pillow, special blanket or stuffed animal can go a long way toward making a hotel feel safer for those who don’t like being away from home. NON MESSY SNACKS: Inevitably someone is going to be hungry on that long 200 mile stretch of dessert where there are no gas stations or fast food joints. Pick out a variety of non messy snacks like fruit, string cheese, pretzels, etc. to pack in easy containers and cooler in the car for quick snacks while traveling. AAA OR SIMILAR MEMEBERSHIP: I cannot express how much this can save and help when on the road. No matter how new your car is or how thorough a check you had done before leaving home, you never know what might happen on the road. For around $100 a year you can have a great roadside assistance plan that works nationwide for towing, flat tire repair and even that time you run out of gas. EXTRA CUSHION OF TRAVEL DAYS: Always figure in at least 1-2 extra days of travel into your schedule just in case. You never know what delays or emergencies could happen along the road and knowing you have a little cushion of time can mean a lot in those circumstances. ITINERARY OF POTENTIAL STOPS: While you may know your ultimate destination is a 16 hour drive from your home, you don’t know what lies between here and there. Taking a look at the map and making note of potential stops along the way for gas, food, bathroom breaks or site seeing is well worth your time. This can help prevent you from having a bathroom accident with a toddler or running out of gas in the 100+ degree temperatures of the desert. BOOKS & ELECTRONIC GADGETS: While this wasn’t a must have when I was a kid, the availability and reasonable price of most hand held gaming systems and eReaders have made them a common household product. Chargers, backup batteries, games and these devices are a life saver on the road for kids and adults of all ages. Make sure to set ground rules on when and how often they can be used prior to departure but don’t feel guilty for handing them out when the stress of the road starts getting to you. A GOOD ADDITUDE AND DESIRE FOR ADVENTURE: This is the most important part of any road trip. Understanding it may not always be the most comfortable or easy thing to do and having a good attitude that is ready for fun and adventure will go a long way toward making any family vacation a great time for memories and sharing. Remember the best part of a road trip is the journey itself. 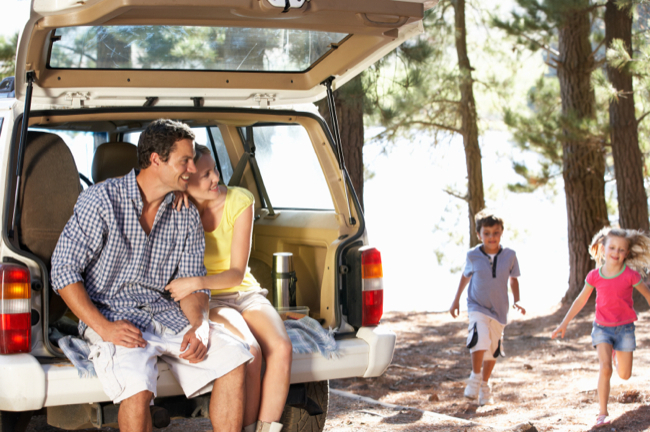 Adventures are everywhere you go and these 10 Must Haves For An Easy Summer Road Trip are a great place to start to ensure your family has an adventure that is fun, safe and full of loving memories they share for years to come.